3 panels at 5½″ x 5″ in black, gold, white and black letters with off white string. 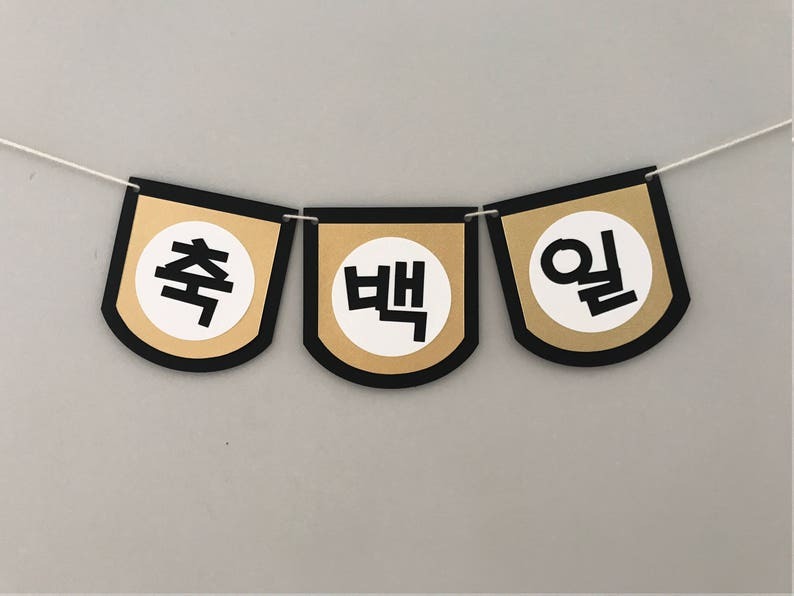 Super cute banner that we used in pictures of our son for his 100 days celebration! We received many compliments, especially from my very traditional Korean parents! Such a cute, well-made banner. Love the details and design. Highly recommend!